Episcopal Divinity School at Union depends on the support of alumni/ae from EDS, Episcopal Theological School, and Philadelphia Divinity School, as well as from their parents and our many other friends. Your gifts sustain our academic programs, faculty, and students and help ensure that EDS at Union continues as an academic community of biblical, historical, and theological inquiry which forms leaders of hope, courage, and vision to witness the Gospel of Jesus Christ. EDS at Union welcomes contributions including gifts to the Annual Fund, Endowment and Special Funds, as well as Planned Gifts which will help ensure EDS at Union’s mission in the future. Our work is not without cost, and contributions to the Annual Fund are the bedrock of the School’s support. They allow EDS at Union to remain a center for study and formation for ordained and lay leaders. They provide the funds that go into the operating budget and sustain our students, faculty and programs. 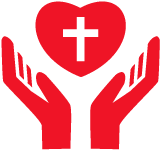 We hope you will make a gift that will help us continue to respond to God’s call in meaningful and lasting ways. Make a contribution to the EDS at Union Annual Fund. Throughout its history, Episcopal Divinity School has depended on the generosity of its friends to help it achieve its near and long-term objectives. Gifts to the Endowment are critical in sustaining the School and allowing it to plan for the future. EDS at Union’s endowment is managed by independent financial advisors and provides a reliable source of income. Contributions in the amount of $100,000 or higher for a particular purpose will be recognized as a Named Endowment Fund. Contributions or bequests designated for student scholarships that amount to less than this amount are added to a General Scholarship Fund, or to an existing fund designated by the donor. To discuss making a gift to EDS at Union’s endowment, please call (212) 280-1569. Absalom Jones Scholarship: Established in 1986, to honor the memory of the first African American ordained a priest in the Episcopal Church of the United States, the fund provides scholarships for African American students attending EDS at Union and preparing for ordination in the Episcopal Church. Click here to make a contribution to the Absalom Jones Scholarship Fund. Jonathan Daniels Fellowship: Established in memory of Jonathan Daniels, seminarian and civil rights activist, the fellowship is awarded annually to one or more students in accredited seminaries of the Association of Theological Schools in the United States and Canada for involvement in areas of social concern. Click here to make a contribution to the Jonathan Daniels Fellowship. For more information about giving to these special funds, please call (212) 280-1569. We encourage you to consider EDS at Union in your estate and financial planning. Planned gifts can provide tax benefits, provide for the security of you and your loved ones, as well as ensure the mission and future of EDS at Union. We are pleased to recognize thoughtful and generous individuals who have included EDS at Union in their legacy planning as members of the Heritage Society. Their planned gifts have played a pivotal role in building our endowment and securing the future of the institution. Bequests are simple and convenient and offer a wide range of options. They do not alter your current lifestyle in any way and can be easily modified to address your changing needs. Please note: Probate laws provide provisions that assure that the surviving spouse of legally married couples are provided for in the event that a deceased spouse fails to provide for them. There is no such protection for unmarried couples for federal purposes. Unmarried couples, for federal purposes, must replicate the property and estate laws that protect legally married couples. You can also contribute through your retirement plan, such as an IRA, 401(k), 403(b) or Keogh by naming EDS at Union as a beneficiary, or contingent beneficiary of your qualified retirement plan.. This may reduce your tax liability. You may make a planned gift through your life insurance policy. This may be done with an existing or new policy. Life Income gifts provide you and/or your designated beneficiary an income for life in exchange for your gift. As with other forms of planned giving, there are tax savings, including the elimination of capital gains if funded through appreciated securities such as stocks, bonds, mutual funds, or real estate. Charitable Gift Annuity – This is a gift with an immediate partial income tax deduction, providing income that is guaranteed at a fixed rate and some of the income received is tax-deductible. EDS at Union receives the property upon the death of the income beneficiary. Charitable Remainder Trust – Involves larger sums of money and is individually managed. Provides income for life and tax deductions as with a Charitable Gift Annuity. A Charitable Remainder Trust may be added to over the years. The rate of return fluctuates based on the performance of the portfolio. If you are seeking a set rate of return, this is possible through a Charitable Remainder Unitrust. Charitable Lead Trust – Assets are transferred to a trust that pays income to EDS at Union for a set period of time. At the end of the term, the principal and all capital appreciation returns to you or others that you name. Again, this arrangement provides considerable tax savings and useful when passing assets on to children, grandchildren, or other family members. A donor may make a significant gift through use of life insurance policies. This may be done with an existing or new policy. Give online through our secure website. You can also set up a recurring gift online, whereby your gift is automatically charged to your debit or credit card each month. Make your credit card donation over the phone by calling (212) 280-1569 (Monday – Friday 10 a.m. to 4 p.m. ET). Gifts of appreciated stock or mutual fund shares may provide tax benefits by avoiding capital gains tax. Stock may be transferred to EDS’s brokerage account at Charles Schwab, Inc. (#61002842). The DTC transfer number is: 0164 Code 40. Please be sure to notify EDS at Union by emailing edsinfo@uts.columbia.edu or calling (212) 280-1569, indicating the name of the donor, the number of shares transferred, the stock symbol, and the fund or purpose for which the gift should be applied. If you are 70 ½ or older, you can make a contribution to Episcopal Divinity School at Union directly from your IRA simply by instructing the plan administrator to make the transfer directly to us. You are allowed to transfer up to $100,000 a year to the charities of your choice. Your gift will not be reported as taxable income and will count toward your minimal distribution requirements. To learn more about making a donation from your IRA, call (212) 280-1569 (Monday – Friday 10 a.m. to 4 p.m. ET). Many individuals make gifts in recognition of a particular event, such as the birth or adoption of a child, marriage, graduation or ordination of a friend. Some also make gifts in memory of a particular individual, such as a beloved family member, a respected professor, or a devoted minister. EDS welcomes you to name your gift in honor or memory of anyone or any event you choose. Please visit our giving page here. One of the easiest ways to increase your gift to EDS at Union is through your employer’s matching gift program. To learn if your employer will match your donation, check with your finance office or human resources department to learn about your company’s matching gift program. Prospective donors are urged to consult their personal tax and financial advisors concerning the specific consequences of making gifts to EDS at Union. We would be pleased to discuss, in confidence. For more information on planned giving opportunities, please call (212) 280-1569.